Admiralty, or maritime law, is the branch of the legal system dealing with maritime, or nautical, litigation and offenses. Attorney Dennis W. Potts is your Hawai’i State maritime lawyer. As it deals with the sea, certain international precepts may be taken into consideration when assessing liability and damages concerning vessels from around the world. Multiple private and commercial maritime activities are regulated under this branch, including the transportation of both goods and passengers, sea travel, and salvaging. Providing safe working conditions. A ship owner is required by law to provide safe and secure working conditions to those on board his or her ship. If the vessel is not properly maintained and this lack of maintenance results in the injury or loss of a ship’s employee, the owner may be responsible for compensating the resulting damages. Accounting for seaman health. In addition to providing a safe work environment, a ship owner must care for a seaman who has fallen in the course of his or her duties. At sea, this refers to administering treatment up to the point when the worker can conduct his or her duties in full again. Once that has been reached, it is the employee’s responsibility to maintain his or her own wellness; however, failure on the part of the owner to provide the initial care constitutes negligence. 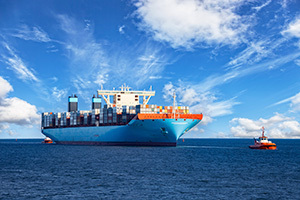 Property lost at sea and subsequently recovered by another entity is considered “salvaged.” There are a variety of laws regarding the salvage of possessions from the ocean, and most fall into one of two categories. Contract salvage. When the owner of lost property and a nautical salvager make an agreement regarding the recovery of lost items, this is known as a contract salvage. Often, the terms of the salvage are laid out beforehand, and the salvager is paid according to previously agreed upon conditions and specifications. Pure salvage. In this form of salvage, no agreement exists between the owner of the goods and the person who recovers them. Those who have recovered the items are often entitled to compensation from the party who lost them as payment for their safe return. Often, the salvager is awarded no more than 50% of the initial price of the item recovered, but this payment may be higher if the item recovered came at a higher risk or effort of the salvaging crew. In the United States, jurisdiction over maritime matters falls to either the state or federal court system. Federal jurisdiction spans to include ship owner liability, at-sea arrests, property apprehension, salvage cases, and possessive actions. States, however, have jurisdiction over a myriad of maritime matters. Personal injuries, damage to cargo, nautical product liability, and boating accidents or collisions can be brought in front of a state court. The loss of or damage that befalls goods transported by ship is typically the responsibility of the ship owner. There are, however, certain exceptions that leave the ship owner without liability for property loss. These include acts of God, damage or loss caused by the nature of the goods themselves, mismanagement of the ship, and navigational errors. Those injured aboard a ship can generally expect care from the ship’s crew and owners. If an injury occurred due to the faulty actions of someone employed by the ship, that person and the ship’s owner may be liable for damages and compensation. It is the ship owner’s responsibility to keep the passenger safe and cared for until the voyage ends, at which point the passenger is responsible for his or her own treatment. To understand your rights regarding admiralty and maritime law, contact the Law Office of Dennis W. Potts at (808) 537-4575. Located in Honolulu, Attorney Potts can explain and help you understand the complexity of maritime law.